Daytona Beach Drug Court: Should You Go? Society’s understanding of addiction has evolved greatly in recent decades. Florida’s legal system has made efforts to act in accordance with the currently prevailing medical belief that addiction is a treatable illness. Florida’s drug courts acknowledge that many drug crimes are a symptom of a larger problem. They aim to treat the underlying problem, namely addiction to alcohol or drugs, based on the belief that addiction treatment will be more effective at preventing future crimes than simply punishing the offenses as isolated incidents. 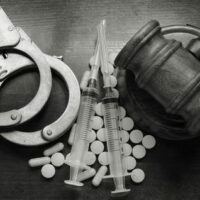 In some jurisdictions in Florida, people who plead guilty to certain non-violent offenses related to drugs or alcohol can undergo a court-supervised addiction treatment program instead of the typical punishments for these offenses, such as probation or even jail time. If you successfully complete the substance abuse treatment program mandated by the court, you can have the charge erased from your record, usually by having the charges dismissed. The drug court program typically lasts one year. The goal of drug courts is to help people suffering from addiction go on to lead drug-free, productive lives and avoid further legal problems. Violent crimes and drug trafficking are not eligible for drug court. Criminal court is your only option if you are charged with one of those crimes. The programs mandated by drug courts resemble other substance abuse treatment programs. Twelve-step programs are usually part of the plan the drug court judge will require you to follow. Participants undergo individual and group counseling and are subject to urinalysis tests to make sure that they are abstaining from alcohol and drugs. The court may require you to take certain medications to manage withdrawal symptoms or cravings. At the end of the program, you “graduate” from drug court with a ceremony. Why would someone choose not to participate in drug court if given the option? For one thing, the course of treatment prescribed to you is chosen by the judge. Participants do not have much say about their treatment. The judge must also approve any changes to your treatment while it is going on. Meanwhile, addiction medicine is a constantly evolving field, and the thing on which almost all doctors and patients can agree is that there is no one-size-fits-all solution. Many addicts must make several attempts with different treatment programs before achieving long-term sobriety. Relapsing during or after drug court can have legal consequences as well as medical ones. Judges are not physicians, and the potential problems with judges making decisions about rehab for addicts are similar to the ones with judges making decisions about the medical treatment of people who plead innocent on account of mental illness. If you have been charged with a non-violent crime related to drugs, drug court might be an option for you. Contact Bundza & Rodriguez in Daytona Beach, Florida for a legal consultation.